The Treasure Valley Chapter hosts this bike ride each spring as a fund raiser event. We strive to produce a ride that is fun for participants and lets people meet new friends. Our annual rides started in 1998. We currently raise over $10,000 for use in supporting programs that help the blind live, work, and prosper independently. 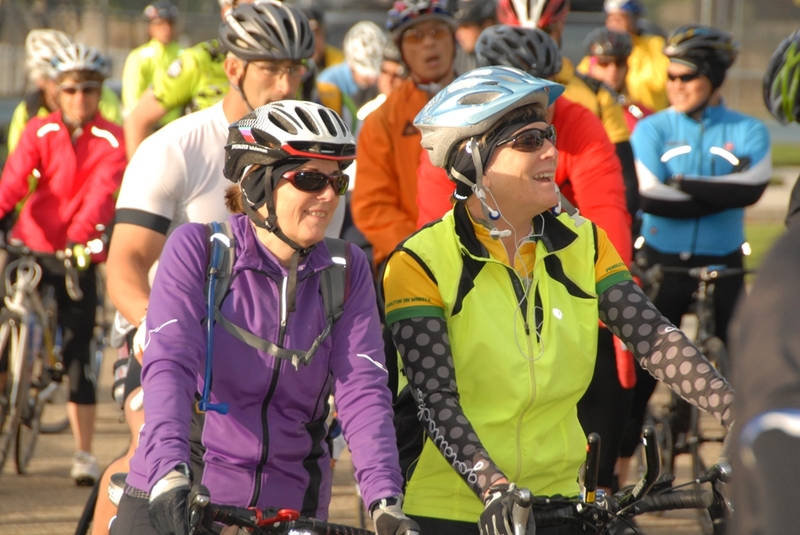 There are about 400 participating riders each year. Registration can be done online or through paper registration. Registration includes our famous socks as well a lunch. Both can be purchased separately for $5.00. Door prizes will be given out following the ride. We offer a full burger and fixings lunch following the ride. The team is headed by chief Sue Sebranek and head cook Jim Spamberger. Volunteers from local Lions Clubs, NFB members and others man the site.